This special 8-week, step-by-step system features over 25+ hours of video and audio lessons, downloadable PDF slides and action sheets, as well as several hours of Bonus video courses. Every week, you will learn special processes and exercises that make you naturally attractive to women... as you become more and more confident in every area of your life... right from the comfort of the chair you're sitting in! 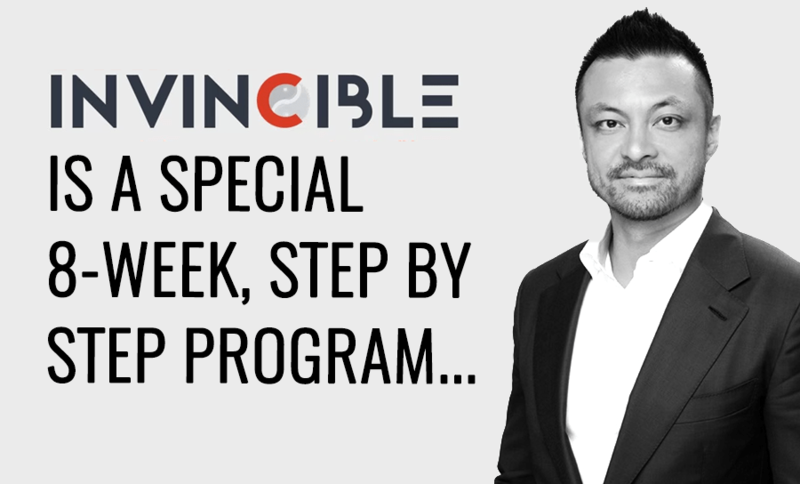 I’ve shared the program with hundreds of students and INVINCIBLE brings by far the fastest and most permanent results out of any dating skills program I’ve ever seen. Registration is now closed. Did you miss the deadline? Sorry, David Tian’s Invincible Program registration has closed! But you can still sign up for the waiting list, so you can get early notification as soon as registration opens up again. Just enter your email below. We value your privacy and security. You can unsubscribe at any time.